Common mandarin, Clementines, Tangerines, Satsumas, Mediterranean (Willowleaf) and King mandarins. 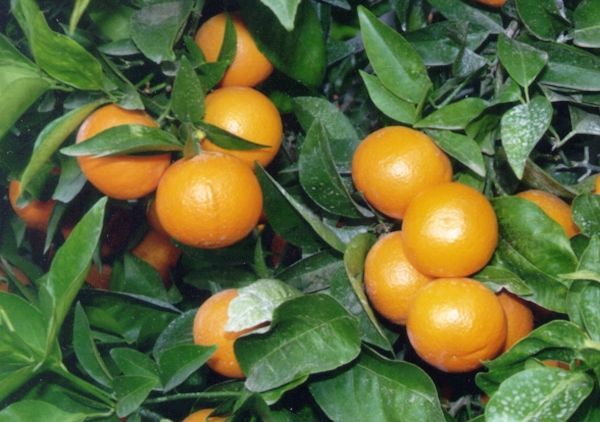 Tangor is a hybrid of tangerine (mandarin) and sweet orange. Temple. The origin and history of this variety are somewhat obscure.Temple presumably originated in Jamaica and was introduced to Florida about 1896. 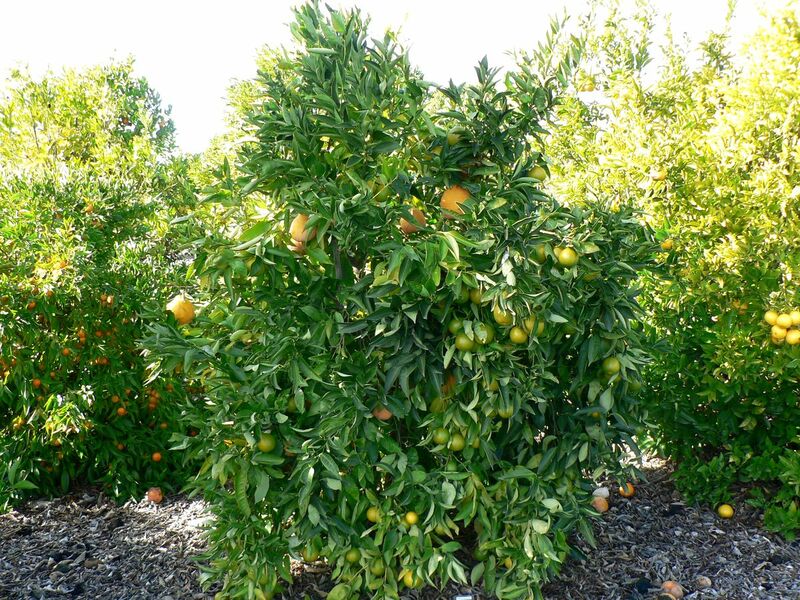 As a tree of outstanding quality it came to the attention of W. C. Temple, former manager of the Florida Citrus Exchange. Exclusive propagation rights were obtained in 1916. The variety was named and introduced in 1919. Temple is considered a natural tangor. Rind colour is deep reddish-orange; medium-thick; surface somewhat pebbled or rough, and moderately adherent, but readily peelable. Flesh is orange-coloured, tender, moderately juicy, flavour rich and spicy. 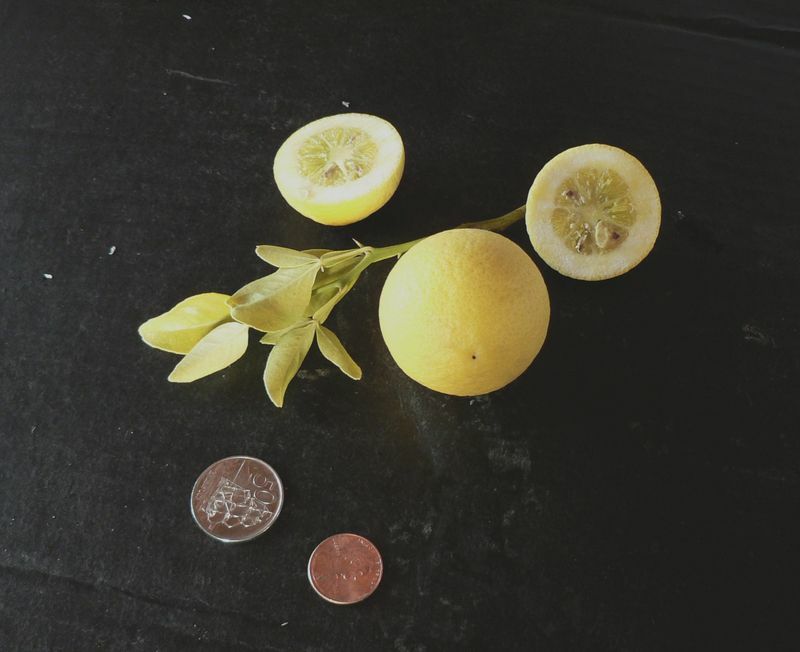 Temple tangor is one of the three commercial citrus plants* that produce only monoemryonic zygotic seeds, i.e. the seeds have only one sexually produced embryo, which contains the genes of both parents and therefore the genes of four grand parents. Temple will never grow true-to-type from seed. It can only be propagated by growing cuttings and by grafting buds or cuttings on rootstock. Temple is also known as Magnet and Royal. Ortanique is reported to have been found on Jamaica around 1920. 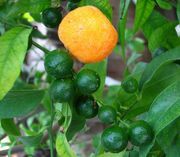 Because of the presence of wild orange and so-called tangerine trees (local mandarins) in the vicinity of the original tree and the distinctive features of the fruit, it was considered to be a natural tangor, and was given the name Ortanique. The name was a synthesis coined from or(ange), tan(gerine), and (un)ique or jama(ique). 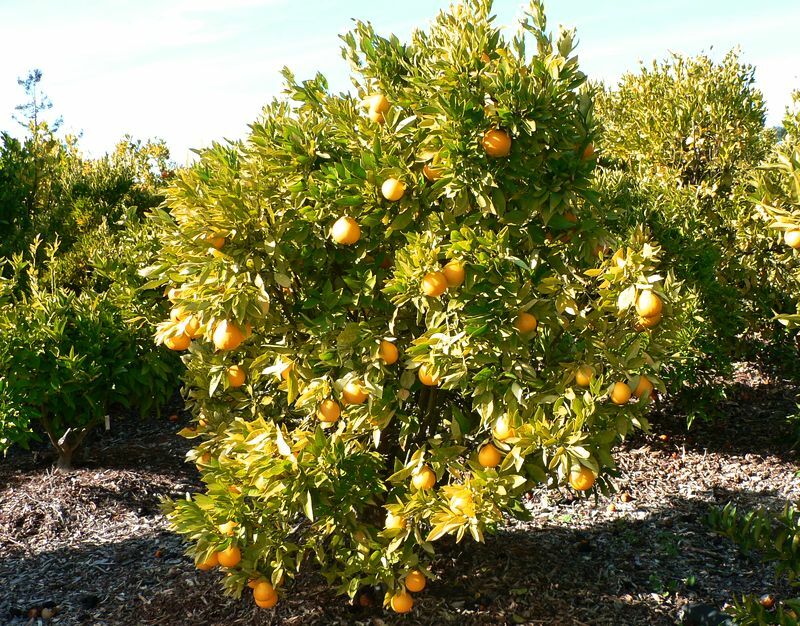 Ortanique is an orange × mandarin hybrid that is cultivated in many countries: Spain, Morocco, Cyprus and South Africa among them. Each country has given its own name to the fruit. In Israel it is called Or and Topaz, in Cyprus it is Mandora and in South Africa Tambor and Orri. Other names of this same hybrid are: Artounik, Australique, Mandor, Orantanique, Ormanda, Ortaline, Uruline, Urunique and Villa late. 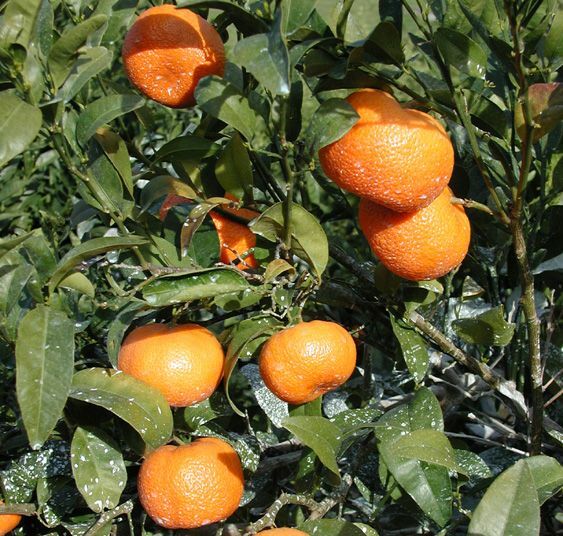 No matter what the name is Ortanique is one of the premium marmalade mandarins. Be sure to include the peel as well. This Australian variety is reported to have originated about 1878 as a seedling on the Ellendale property of E. A. Burgess at Burrum, Queensland. It is considered a natural tangor and very similar to Temple. 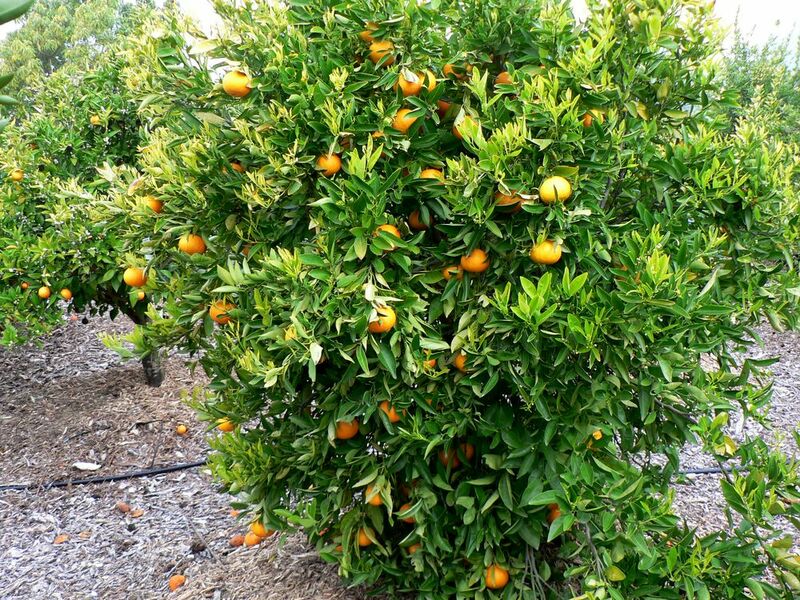 In Queensland Ellendale attains maximum fruit size and excellent quality. It is widely grown in New South Wales, however, and normally commands premium prices because of its large size, attractive colour, and good keeping quality. It is the latest maturing of the varieties currently grown commercially in Australia. It is the consensus of Florida horticulturists that this variety is a tangor of unknown origin resulting from the breeding program of the U.S. Department of Agriculture. The oldest known tree is from 1922. Because this fruit has such a thin peel, it is clipped from the tree rather than pulled. The glossy smooth rind clings to the pulp, but is still easily peeled when fresh. The tender flesh has twelve orange-coloured segments with numerous seeds, but there is an abundance of reddish-orange juice with a mango-like sweetness. Murcott is also known as Honey Murcott and Smith and in Florida as Honey. Afourer (a.k.a. 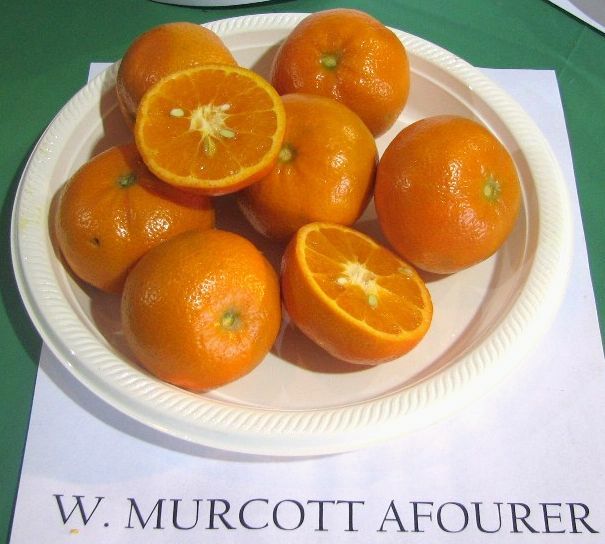 W. Murcott Afourer) is a chance seedling of Murcott (above) from Afourer near Beni Mellal, Morocco, from where it came to California and was released in 1993. Its principal advantages over Murcott are less seeds, better fruit coloration and the fact that it is easily peelable like a clementine. In Morocco it matures in late February. The fruit is low-seeded in the absence of cross-pollination, but seedy when cross-pollinated. The flesh is orange-colored and juicy, with a rich and sweet flavor. In his book Citrus Varieties of the World James Saunt points out that naming new cultivars is seldom straightforward. Afourer is also known in Europe as Nadorcott after Mr. El Bachir Nadori who discovered it in Morocco. In California it is mostly know as W. Murcott but sometimes as W. Murcott Afourer. It is also marketed as Delite. The Dweet tangor is of Mediterranean Sweet orange and Dancy tangerine parentage. This synthetic tangor resulted from the breeding experiments of H. B. Frost of the University of California Citrus Research Center, Riverside. It was selected in 1930 and introduced in 1950. Fruit medium-large, reddish-orange, globose to oblate-necked, and moderately pebbled. Rind peels poorly and tends to puff. Seedy, very juicy, and of rich flavor. Matures late. Does not hold well on tree, but good for home use. While Ambersweet is classified as an orange both for fresh and processing purposes it is actually a complex citrus hybrid. 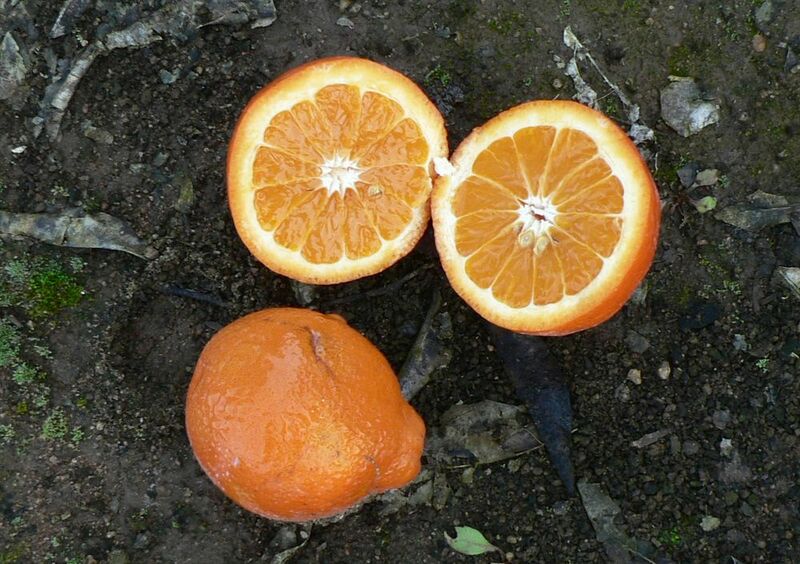 A mid-season sweet orange was crossed with a clementine × Orlando tangelo hybrid. 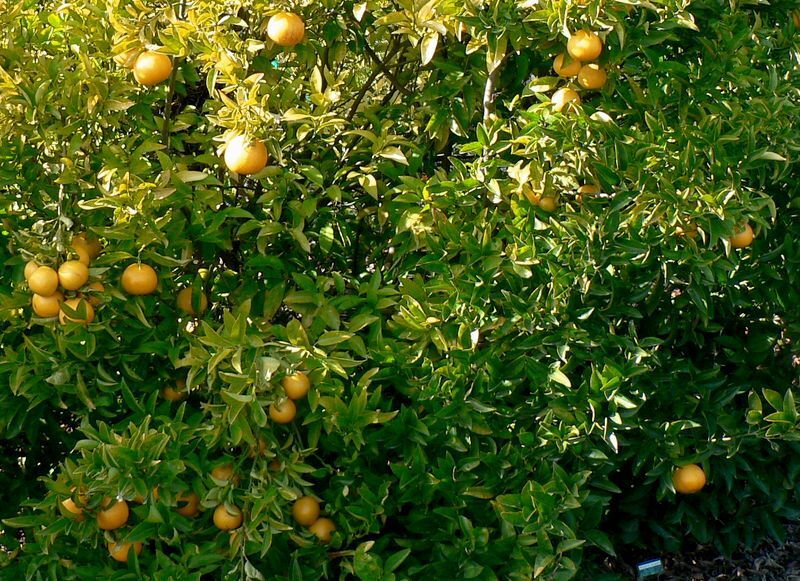 Since Orlando is a mandarin × grapefruit hybrid Ambersweet, to be precise, is 4/8 orange, 2/8 clementine, 1/8 tangerine and 1/8 grapefruit, it is botanically a tangor. The actual cross was made in 1963 and Ambersweet was released in 1989. Other tangor varieties include: Asco, Cinto and Poggio. ENG Temple, Ortanique, Ellendale, Murcott, Dweet and Ambersweet tangors. FRA Tangors Temple, Ortanique, Ellendale, Murcott, Dweet et Ambersweet. 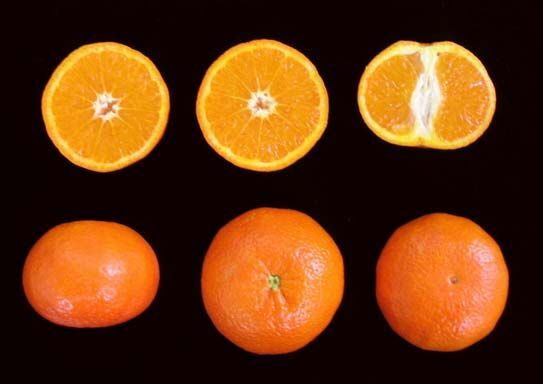 Tangelo is a hybrid of tangerine (mandarin) and grapefruit. 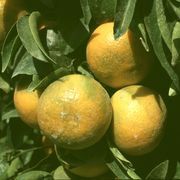 Minneolais a hybrid of Duncan grapefruit and Dancy tangerine produced in Florida by the U.S. Department of Agriculture and named and released in 1931. Its attractive colour, excellent flavour, and low seed content have made it popular. 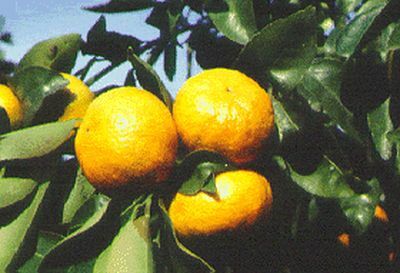 Minneola can readily be recognized by its typical 'neck'. Rind colour is deep reddish-orange; medium-thin, with smooth, finely pitted surface and moderately adherent skin. Flesh orange-coloured, tender, juicy, aromatic; flavour is rich and tart. Medium late in maturity. 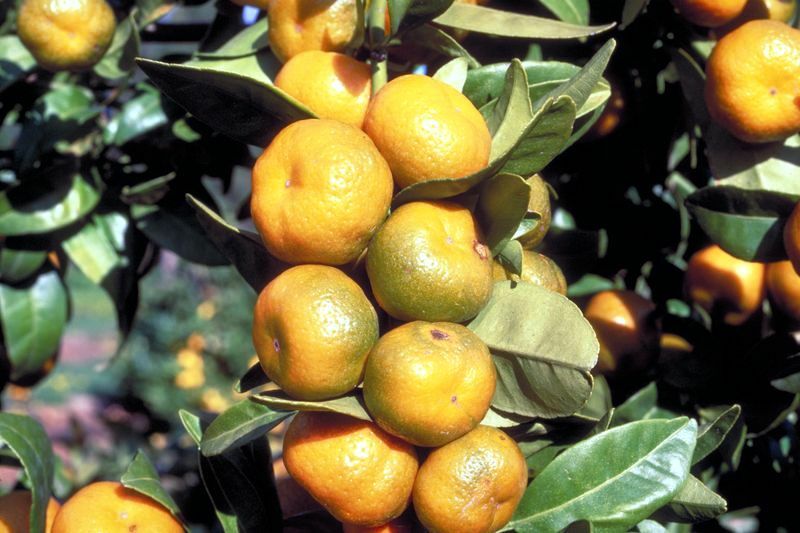 Minneola is also known as Honeybell. Pearl is a cross of Imperial grapefruit and Willowleaf mandarin which can be seen in its narrow willow-like leaves. The taste is said to be more grapefruit-like than the taste of other tangelos. The cross was made by Howard. B Frost at the California Citrus Experiment Station in 1929. Orlando has the same parents as Minneola but opposite characteristics. The fruit is round, tolerates frost better, the taste is sweeter and is early in maturity. 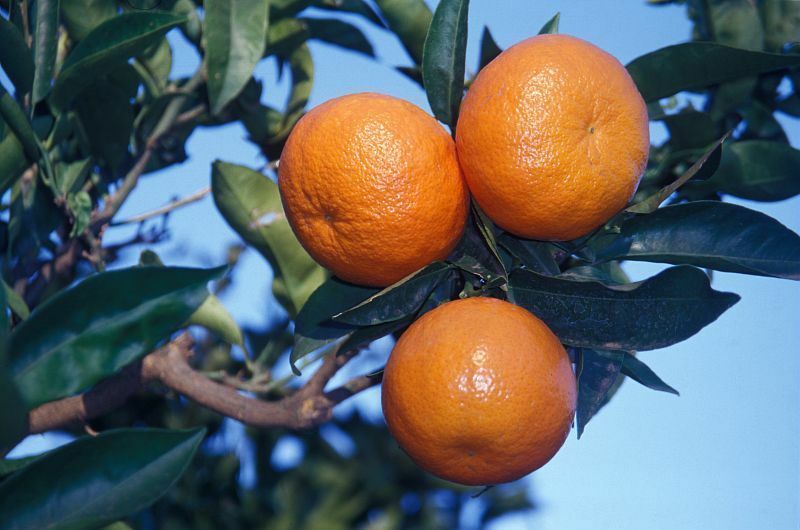 Its good shipping quality and pleasant flavour make it a popular tangelo in Florida. 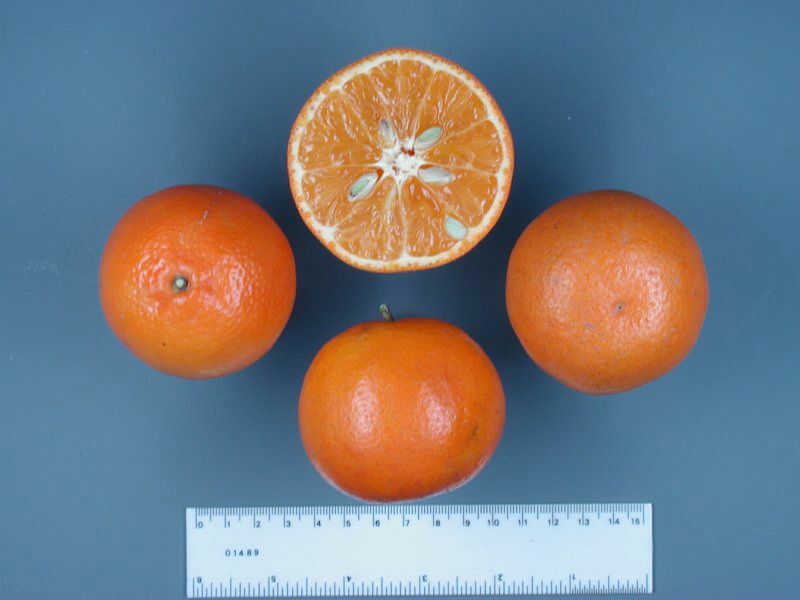 Sunshine is of the same parentage as Minneola and Orlando.Fruit are large, seedy, grapefruit-like, slightly subglobose to somewhat oblong; colour pale orange. Flesh is orange-coloured and flavour acid. Maturity very late. Tree is vigorous and upright. Tree and foliage are mandarin-like in appearance. Allspice resulted from a cross of the Imperial grapefruit and Willowleaf mandarin made in 1917 by H. B. Frost of the University of California Citrus Research Center, Riverside. Although the fruit is small, it is attractive because of its rich flavor and spicy fragrance. Fruit medium-small, color orange-yellow, seedy. Rind thin, slightly pebbled, and rather tightly adherent. Flesh tender and juicy; rich, tart, spicy flavor and aroma. Midseason in maturity and loses quality if left on tree much past maturity. Mandalo is a cross of Siamese acidless pomelo with a Frua mandarin, which is a cross of King mandarin and Dancy tangerine. To be precise Mandalo is 1/4 King mandarin, 1/4 Dancy tangerine and 2/4 Siamese Sweet pomelo. 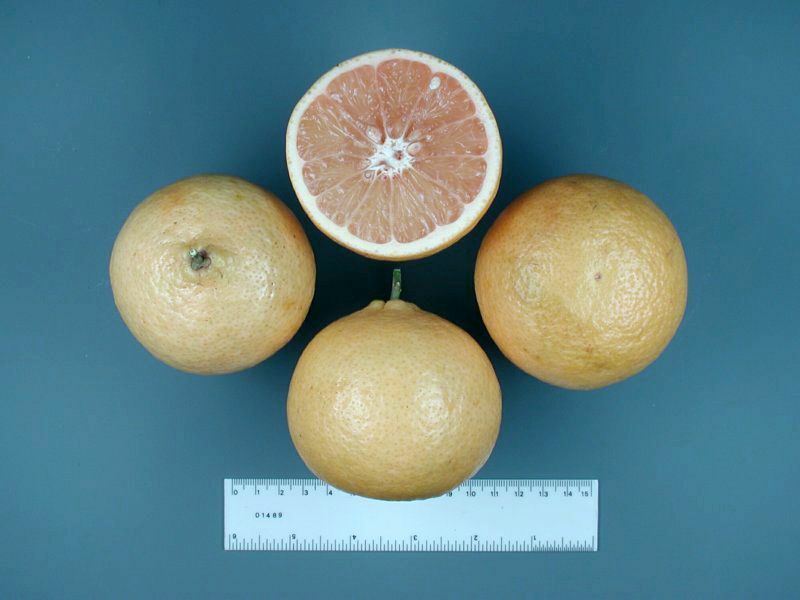 The fruit can vary from the size of an orange to the size of a grapefruit. This hybrid is discussed on the Grapefruit page as > Cocktail grapefruit. 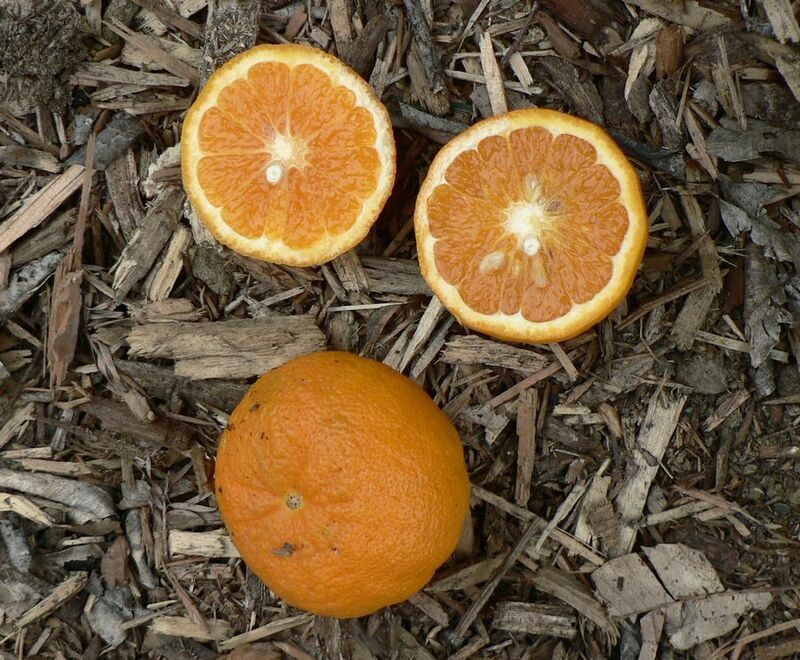 Wekiwa tangelo first came from California in 1930 but was not introduced to the public in Florida until the1980's. 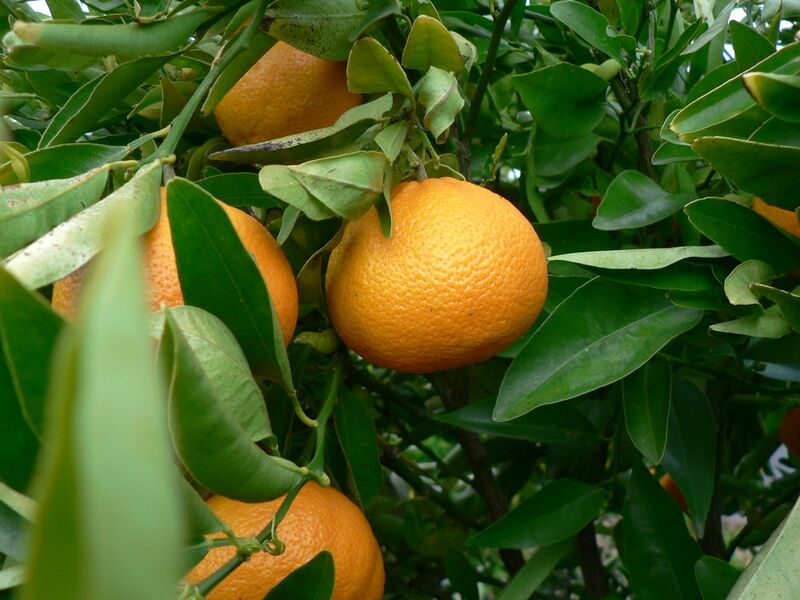 Wekiwa is a hybrid of Sampson Tangelo and a grapefruit and therefore should be called a tangelolo. It is delicious, very juicy, of average size for mandarins. The tree is not vigorous but it is very productive and the fruit ripen in January. 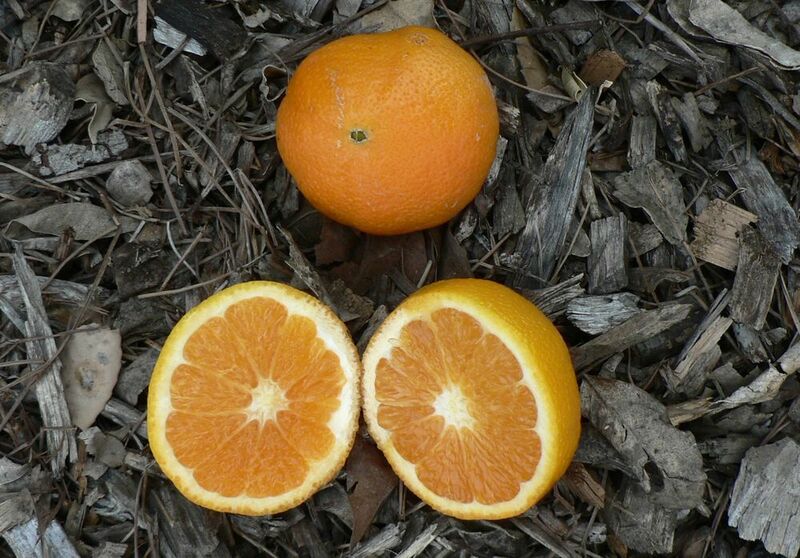 Wekiwa is unlike any other tangelo because it looks like a mini grapefruit. Under favorable conditions rind pink-blushed and flesh amber-pink. Early in maturity. Wekiwa is also known as Pink tangelo and Lavender Gem. FRA Tangelos Minneola, Pearl, Orlando, Sunshine, Allspice, Mandalo et Wekiwa. The rather unusual name for this natural tangelo is said to have been given to this unattractive but delicious fruit in the Canadian market which first received it. 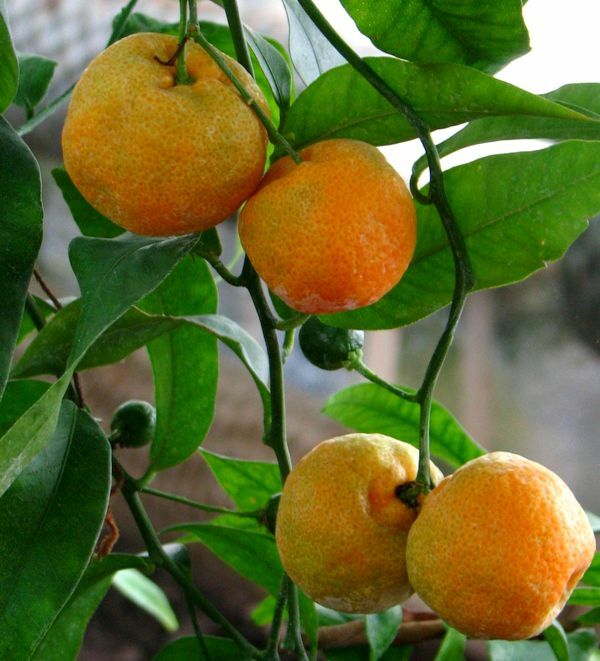 It was referred to as the "Ugly" citrus fruit. 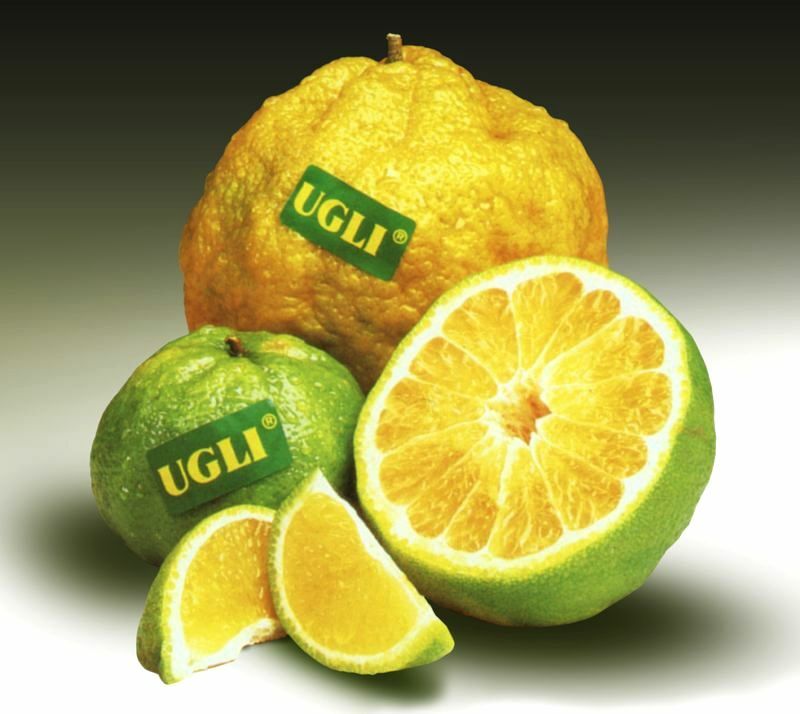 Soon thereafter, the name UGLI® became a copyrighted trademark of Cabel Hall Citrus Ltd. Flesh is orange-coloured, tender and very juicy. The flavour rich and subacid. Maturity season late. Ugli originated as a chance seedling of unknown parentage near Brown's Town, Jamaica. It is obviously a hybrid with characters that suggest mandarin and grapefruit parentage so it was classed with tangelos. 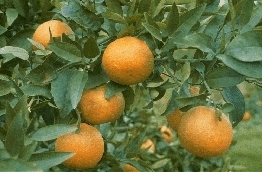 Trout Hall Ltd., the sole marketers of UGLI ®, tell on their Internet site that the original tree now used for production was a hybrid of Seville orange, grapefruit and tangerine. 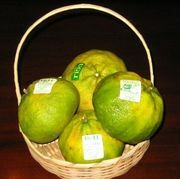 Because of the monoembryony exhibited by the seeds,some botanists are of the opinion that a pomelo is the parent in question rather than grapefruit. 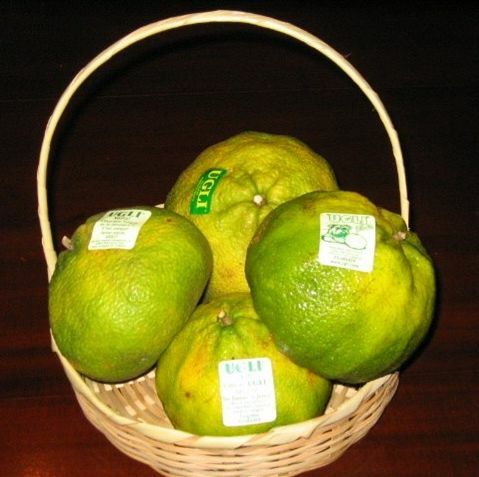 Similar crosses from different origin are classified as pomelos. Photo © Trout Hall Ltd. 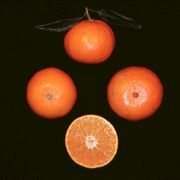 The varieties below are hybrids of Orlando tangelo and clementine. The trees are vigorous with a wide-spreading habit. For best fruit production, a pollinator is necessary. The fruit is medium-sized, oblate in shape, and has a thin, slightly pebbled, dark orange rind. Fairchild is not especially easy to peel and the fruits typically contain many seeds, but the flesh is quite juicy and the flavour is rich and sweet. Fruit is medium in size, slightly oblate to subglobose; basal area slightly raised and furrowed. Rind thin, leathery, moderately adherent but readily peelable; surface smooth and glossy: colour deep yellowish-orange at maturity. Flesh colour orange; tender and melting; juice abundant; flavour rich and sweet. Seeds are numerous. Medium-early in maturity. Tree nearly thornless; dense foliage of medium-sized, lanceolate leaves. 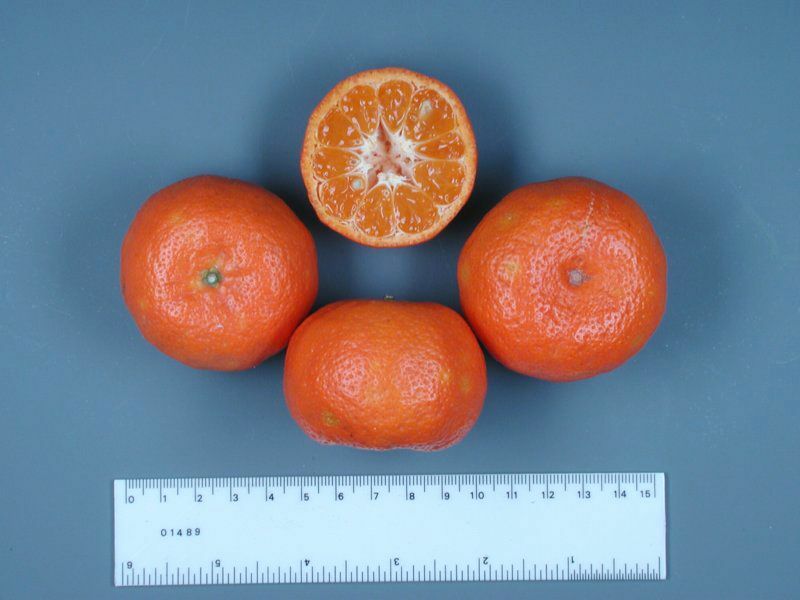 A sibling of the Lee, Osceola, and Robinson mandarins, is a hybrid of clementine Fina and tangelo Orlando. In 1971 'Nova' was intoduced to Europe where it is called Clemenvilla. The tree grows vigorously and can be thorny. 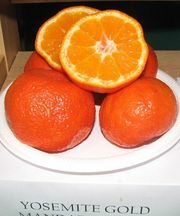 The medium-sized fruit is usually subglobose and has a slightly pebbled thin reddish-orange rind that is easily peeled. The flesh is dark orange, fine-textured, and juicy with a sweet, rich flavour. In mixed plantings, Nova fruits are moderately seedy, but in isolation the fruits are seedless but less plentiful. Nova matures in early winter and holds well on the tree. 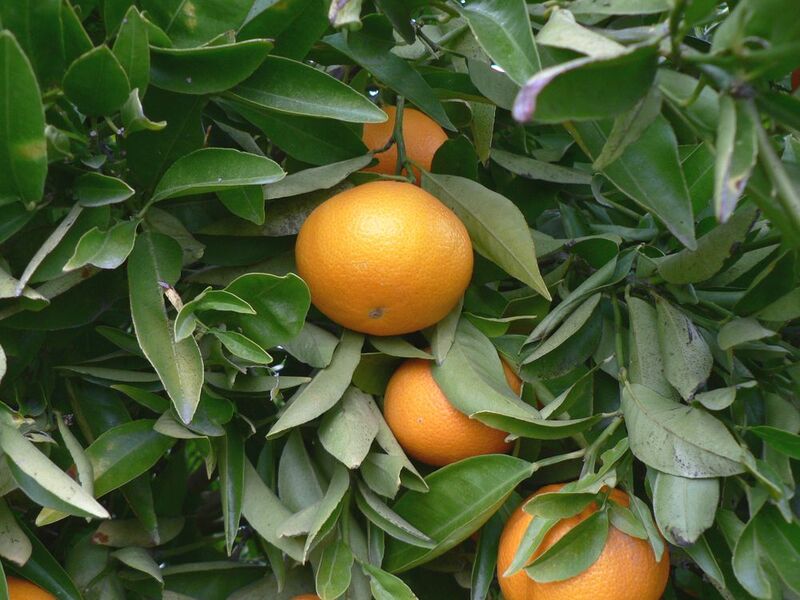 Nova (Clemenvilla) is a premium marmalade variety with a rich sweet flavour. Make sure you include the peel as well. Fruit medium in size, medium-oblate in form; base flattened and sometimes slightly corrugated. Rind thin, leathery, moderately adherent but easily peelable; surface smooth and glossy; colour deep orange to almost coral-red at maturity. Flesh colour deep orange; juicy; flavour rich and distinctive. Seeds are numerous. Medium-early in maturity. Tree virtually thornless, more upright than Clementine; dense foliage composed of medium-sized lanceolate leaves.This exceptionally high-coloured, early variety is a sister to Lee and Robinson, all three resulting from a Clementine mandarin-Orlando tangelo cross made by Gardner and Bellows of the U.S. Department of Agriculture in Florida in 1942 and released in 1959. This is a cross between Minneola tangelo and Clementine mandarin made by Gardner and Bellows of the U.S.D.A. in 1942. 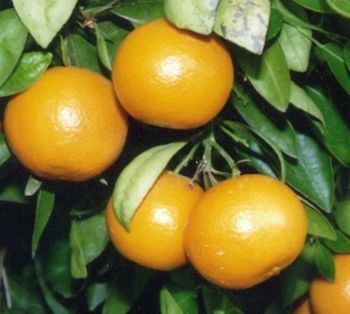 Page was officially released as an orange, but technically speaking the variety is a tangelo hybrid since its parentage is three-fourths mandarin and one-fourth grapefruit. The fruit is medium in size, easily peeled, moderately pebbled and has numerous seeds. The flesh colour is a deep orange, tender and juicy, flavour rich and sweet. Fruit medium-large, oblate (more so than Osceola): base evenly rounded or slightly necked. Rind thin, tough and leathery, moderately adherent but easily peelable: surface smooth and glossy; colour deep yellowish-orange at maturity. Segments numerous (12-14), readily separable. Flesh colour deep orange; juicy; flavour rich and sweet. Seeds moderately numerous. Early in maturity (about the same as Lee and Osceola but colours earlier). Tree upright-spreading, nearly thornless; dense foliage consists of large broadly lanceolate, taper-pointed leaves. 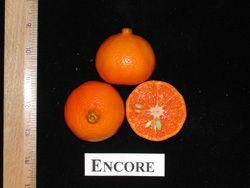 Encore is a late-ripening variety (fully as late as King) originating from a cross between King and Willowleaf mandarins made by H.B. Frost introduced in 1965. The fruit is medium in size with a thin, yellow-orange rind. Flesh colour deep orange; firm in texture, but tender and juicy; flavour rich. Seeds are numerous. Tree moderately vigorous, upright-growing, and virtually thornless; many slender branches; density of foliage intermediate between the parents. Leaves resembling King, but with narrower blades and petiole wings. Somewhat alternate bearing but productive. 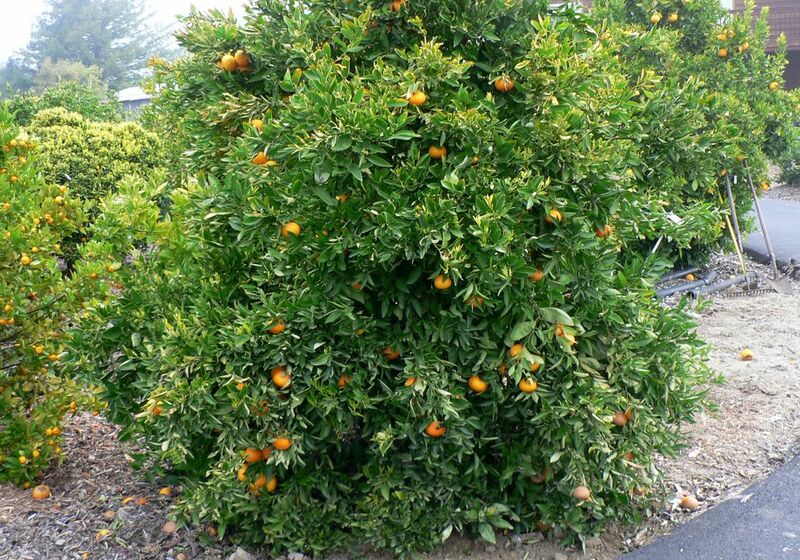 Kinnow, a King-Willowleaf mandarin hybrid, was developed at the University of California Research Center, Riverside by H. B. Frost in 1915 and released in 1935. 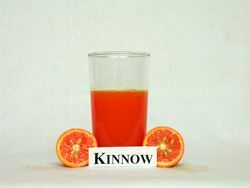 Kinnow is the most widely-planted mandarin in Pakistan. The tree grows vigorously and has an upright form, with a strong tendency to alternate bearing. 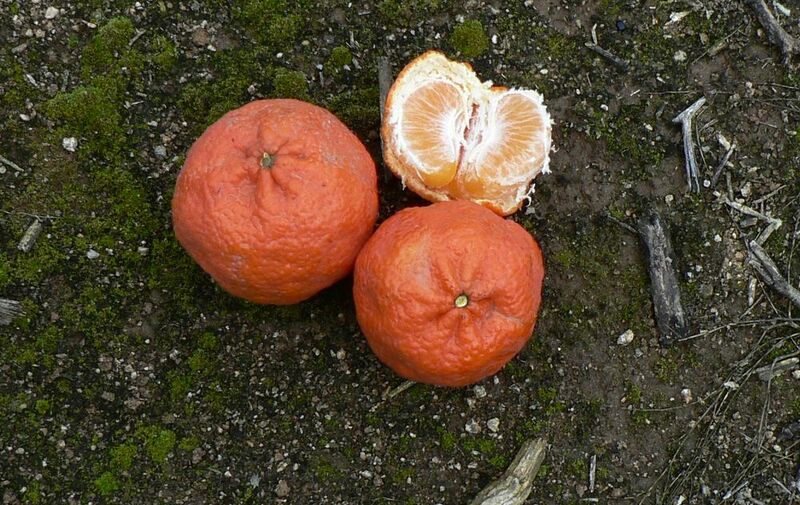 The fruit is oblate with a smooth orange rind that does not peel especially well for a mandarin. The flesh is orange, seedy, and has a rich distinctive flavour. 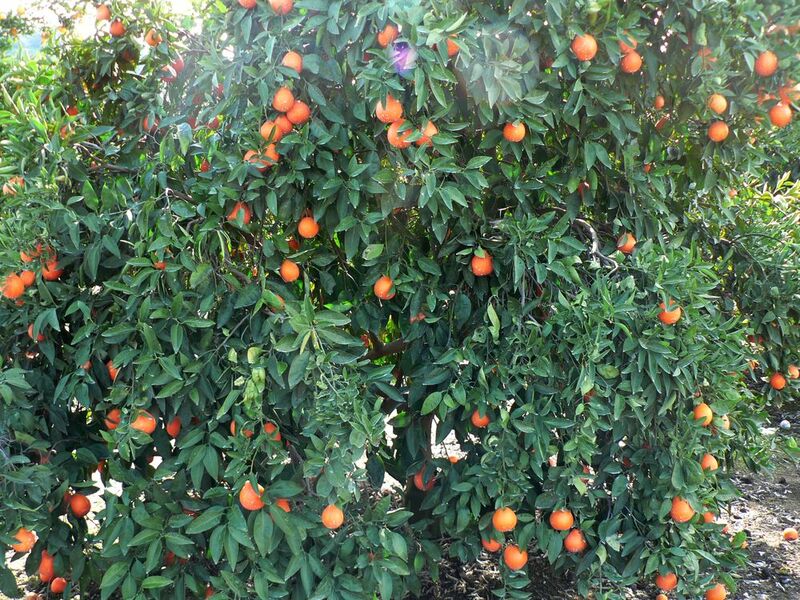 Kinnow is mid-season in maturity and holds well on the tree. The following information is from The Facts sheets of Tahoe Gold®, Yosemite Gold® and Shasta Gold® mandarins written by M.L. Roose and T.E. Williams, Department of Botany and Plant Sciences' University of California, Riverside. Hybrids of the Encore and Dancy mandarins and Temple tangor. 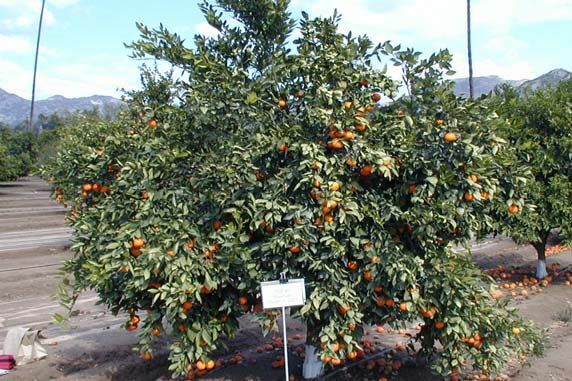 Tahoe Gold ® is a recently-released (2002) mandarin variety developed within the University of California Riverside citrus breeding program. The tree grows vigorously and is somewhat spreading in form, with a tendency to alternate bearing. Tahoe Gold ® (TDE3) is a hybrid with Temple tangor, and Dancy and Encore mandarins in its parentage. It is a mid-season maturing mandarin hybrid that combines large fruit size, attractive deep orange rind colour, rich fruit flavour and the virtual absence of seeds even in mixed plantings. The season for Tahoe Gold ® is mid-January to mid-February at Riverside. The fruit does not hold well on the tree. 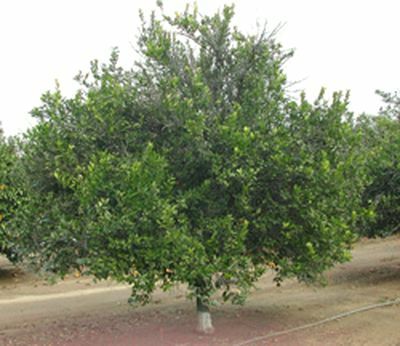 Yosemite Gold® is a recently-released (2002) mandarin variety developed within the University of California Riverside citrus breeding program. The average fruit size is large for a mandarin (classed as Mammoth by California state standards) with a mean width of 75mm (2.95 in.) and a height of 58 mm (2.30 in. ), giving a height to width aspect ratio of 0.78, and a mean weight per fruit of 175 grams (6 oz.-heavy for the fruit size). The rind of fruit from trees with very light crops is sometimes excessively rough or bumpy. The rind is quite easy to peel when fruit are mature, but can be more adherent early in the season. 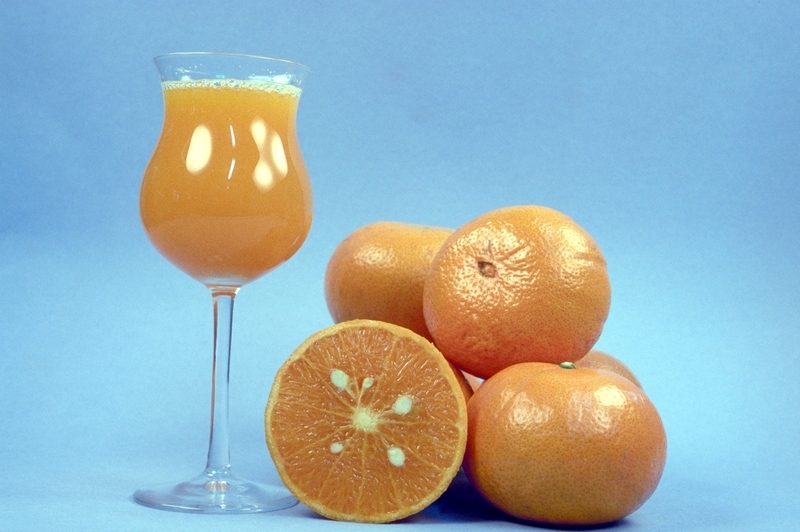 The fruit is moderately juicy averaging 42% juice content. The flesh is seedless, bright orange, finely-textured and juicy. The flavour is rich and sweet. 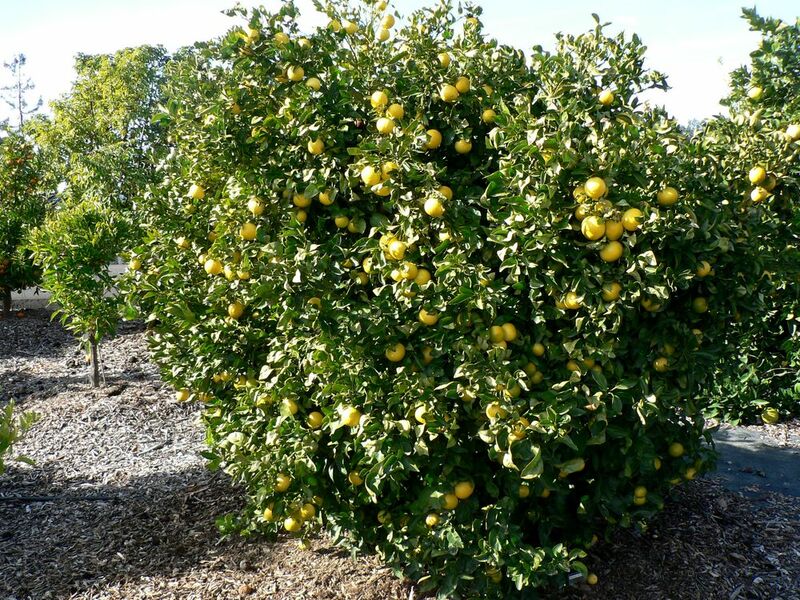 The season for Yosemite Gold ® (TDE4) is January to mid-March and the fruits hold well on the tree into April. Shasta Gold® is a recently-released (2002) mandarin variety developed within the University of California Riverside citrus breeding program. The tree grows vigorously and is somewhat spreading in form, with a tendency to alternate bearing. It can achieve a moderately-large size at maturity. Shasta Gold® (TDE2) is a hybrid with Temple tangor, and Dancy and Encore mandarins in its parentage. 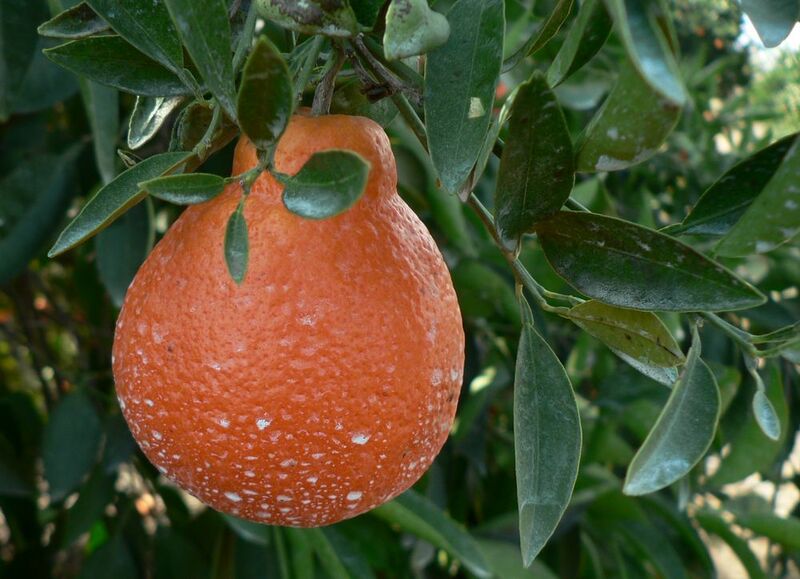 The large oblate fruits have an attractive dark orange rind that is relatively thin. The flesh is seedless, bright orange, and juicy. The flavour is rich and sweet when mature. 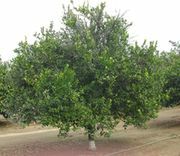 The season for Shasta Gold® is mid-February to mid-March at Riverside and the fruit hold well on the tree into April or May. 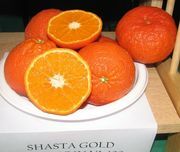 ENG Shasta Gold™, Tahoe Gold™ and Yosemite Gold™ mandarins. the seven listed below are of commercial importance today. 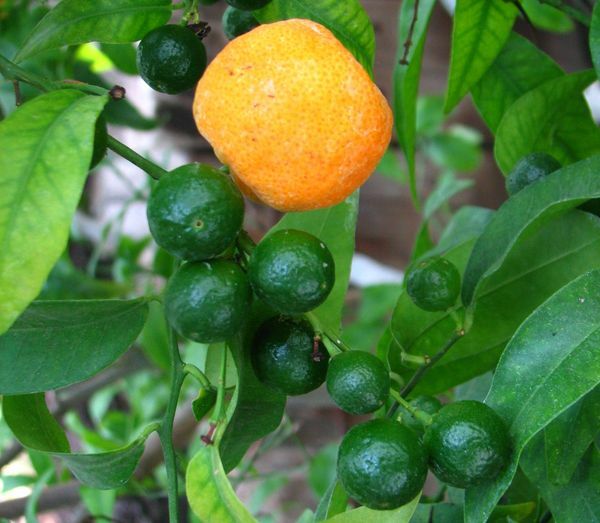 Sour mandarin is the sunki, suenkat or sunkat of South China. It is the Citrus reticulata var. 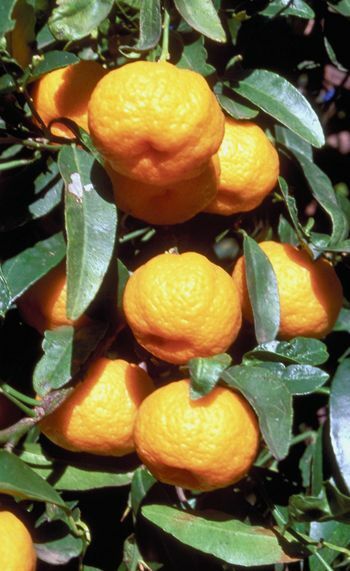 austera of Swingle's classification that is in the pedigree of both Yuzu (Citrus junos) and Calamondin (Citrus madurensis). 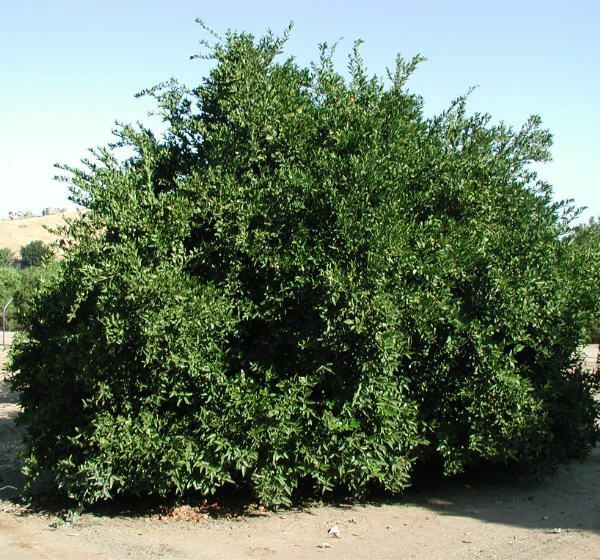 It is a medium-small, upright tree with distinctive pale-green leaves. The fruit is medium-small, oblate and markedly depressed at both ends, and with basal furrows. The rind is strong and spicy with a distinctive aroma. The flavour is acid, the fruit never becoming edible. Seeds are medium-large and plump. 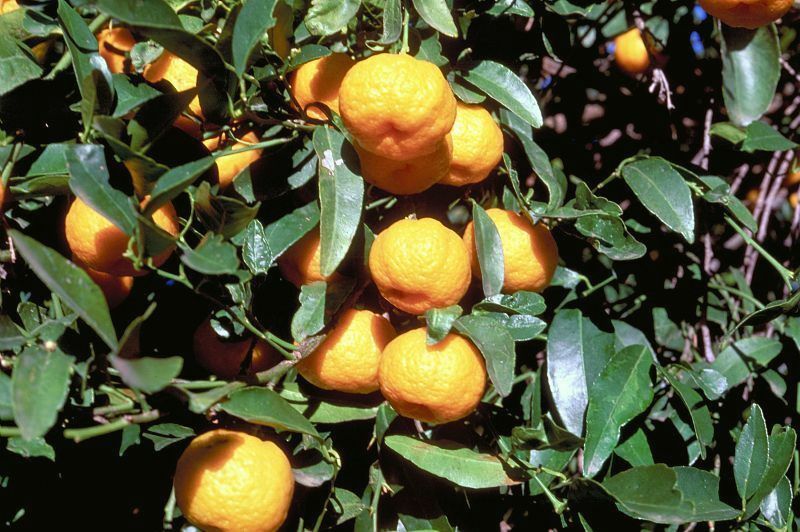 Citrus sunki is considered to be native to China and is said to be a widely employed rootstock in China and Taiwan. Cleopatra mandarin is the chota or billi kichili of India. The tree is attractive, round-topped, symmetrical, and thornless, with small, dark-green leaves. The fruit is orange-red, small, oblate, and highly depressed at the apex, with thin, somewhat rough rind. The flesh texture is soft and juicy and the flavour is somewhat acid. 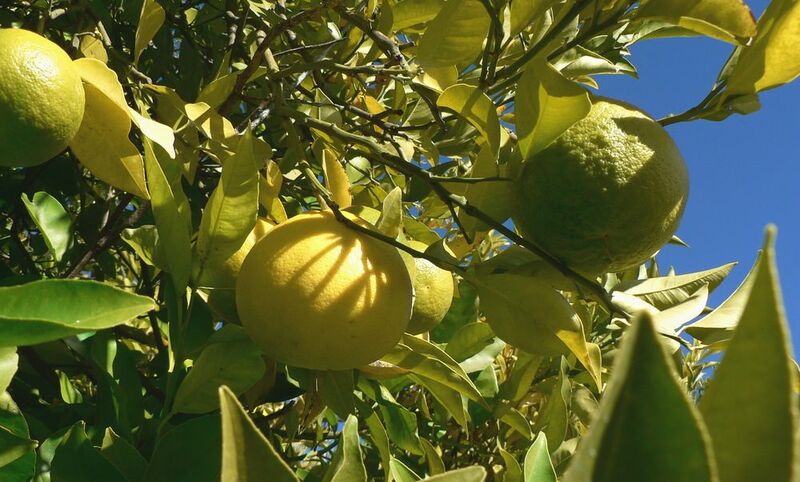 Considered to be native to India and said to have been introduced into Florida from Jamaica sometime prior to 1888, Citrus reshni is increasingly important as a rootstock in the United States and elsewhere. It is an attractive ornamental and bears fruit the year round. This species is the Shekwasha or sequasse in collections in the United States and the shiikuwashâ of Okinawa and Taiwan. 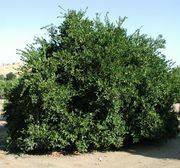 The tree is vigorous, round-topped, and finely stemmed. The fruit is very small, orange-coloured, oblate, and highly depressed at both ends, with very thin, loose, and aromatic rind. The flesh is soft, gelatinous, and acid, but ultimately attains a rich flavour. The tree makes an attractive ornamental. This is the djerook leemo of Java. The tree is highly distinctive. The fruit is very small, tight-skinned, yellow, and very acid. The species is promising as a rootstock. 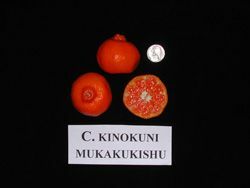 Kinokuni is the kishû mikan of Japan. The fruit is small, somewhat oblate, depressed at both ends, orange-coloured, and glossy. The thin, comparatively tight rind is easily peelable and fragrantly aromatic. The flesh is firm, meaty, and pleasantly sweet in flavour. Seeds are few. 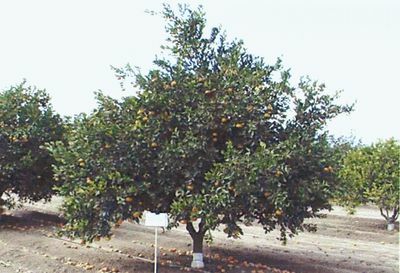 Fruit maturity occurs in early midseason. The kinokuni is said to be a very old species of Chinese origin and one of the earliest introduced into Japan, where it is still popular because of its pleasant flavour and rich fragrances. At least four varieties are known, the largest of which is Hirakishu. 'Mukakukishu' is a completely seedless variety also known as Seedless Kishu. This species is the kokni or kodakithuli of southern India. The fruit is very small, moderately oblate to obconical, deep orange, and has a thin, moderately loose rind. The flesh is somewhat coarse-grained, dry, and acid but becomes edible at full maturity. This species is considered to be native to India and can be found in markets there. Tanaka reports that the heennaran of Ceylon is identical. This species is the timkat of southern China and yuhikitsu of Japan. The fruit is small, yellowish-orange, and somewhat oblate. The base usually has a short radially furrowed neck and the apex is depressed. The rind is medium-thin, relatively tight but readily peelable, and strongly aromatic. Flesh colour is deeper than that of the rind, the texture is crisp, and the flavour is rich but subacid. This species is of Chinese origin and is said to have importance on the Chinese mainland, on Hong Kong Island, and on Taiwan.